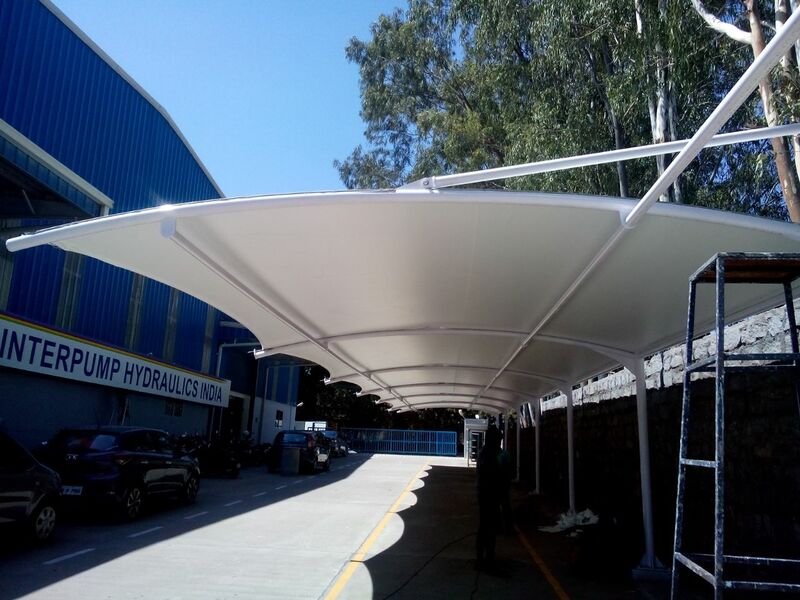 Tensile Membrane Structure For last 10 years and counting, we have worked with the best minds in the industry to dish out various custom made designs of tensile fabric structure. With cooperation and coordination from architects, engineers, owners and contractors, we have created some truly innovative designs of car parking tensile structures, entrance tensile structures, domes, canopies, tensile cover for auditorium and swimming pools etc. As a specialty contractor we believe in cooperation right from the start of a project; we provide assistance in pre-construction, designing, devising construction methodologies, scheduling etc.